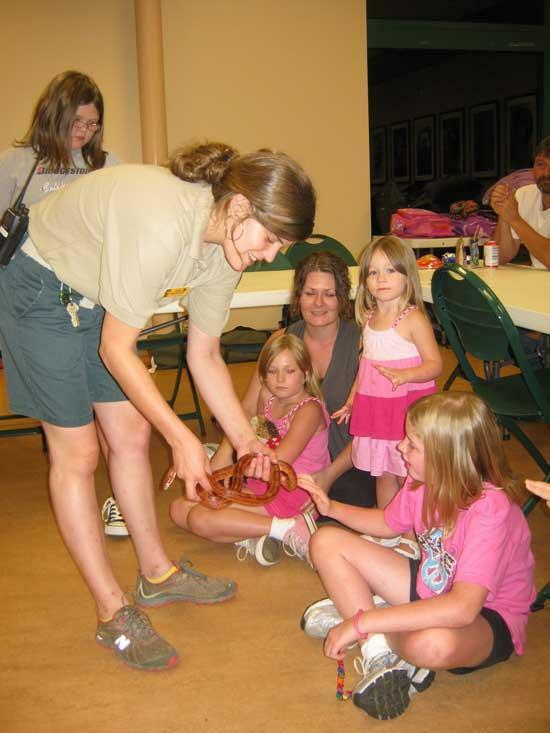 Jamie Hibdon, Brownie Troop 331 Leader, with daughter Abbie in lap and Anna standing watching Carolyn Peay pet Tennessee the corn snake handled by the Nasvhille Zoo educator during a Brownie Girl Scout lock-in. Brownie Girl Scout Troop 331 visited the Nashville zoo this past Saturday. Girls Scouts are having a interest and recruitment night on Tuesday, August 31 at the Cannon Community Center beginning at 6:00 p.m.
during a overnight Brownie Girl Scout trip to the Nashville Zoo.